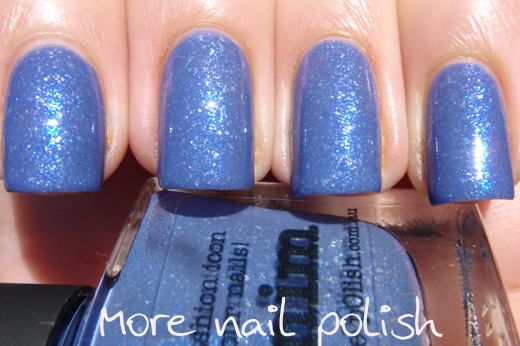 Today I have two Picture Polish shades to show you today. Denim has been around for a while, because I remember it being part of Blog Fest last year. 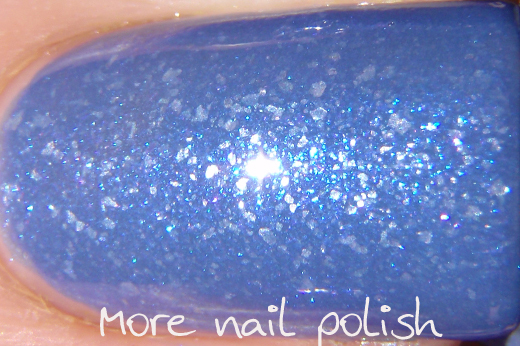 The base colour is a dusty cornflower blue, and the polish has a bright blue shimmer and mother-of-pearl like, translucent white irregular shaped flakes. It's a really unique finish and I have nothing like it in my collection. 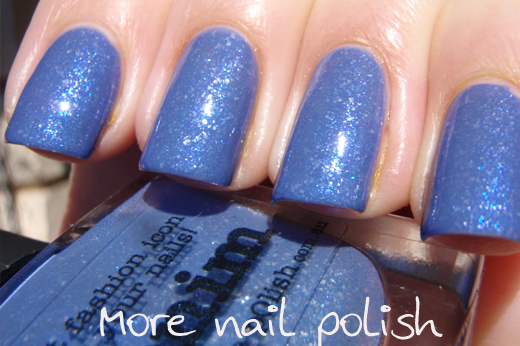 It dries completely smooth and covered perfectly with two coats. It really is the perfect denim colour and I reckon it would look great used in one of those jeans stitching nail art manis. Amethyst is the shade created by Picture Polish network member Star Trinkets and released as part of the Collaboration Collection. 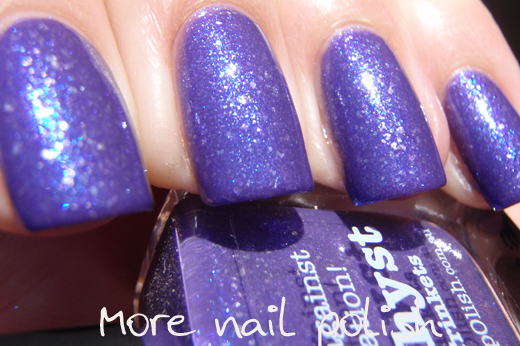 When asked about what sort of shade they wanted to create, Susan from Star Trinkets suggested a purple version of denim. That is exactly what this is. Just like denim, this has the same blue shimmer and the same mother-of-pearl like, translucent white irregular shaped flakes. I also like that this is another dusty shade. I don't know if this sort of dusty purple colour actually has a name, but it's very pretty. This was two lovely coats with top coat. I love how these two shades really compliment each other. I've love to see more shades with this same finish and the same dusty tones. I really love amethyst, beautiful!! Next, a green, perhaps called Jade! If any of you ladies like Denim but can't get it, look for Smooth Sailing by Essie. It looks similar, but without the flakes, as far as I can tell. I really like Denim, beautiful swatches.